I always find it strange when people ‘mourn’ celebrities they have never met – people who’s true character was never really known to them but only portrayed through their public image. 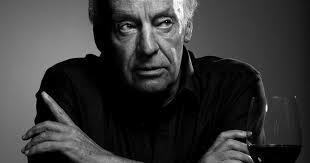 But when I read that Eduardo Galeano died yesterday I broke down and cried. I had never met him, I have never even been to Uruguay, but for some reason I felt so sad to know that he was not in this world anymore, that he would never write another book. I first read ‘Open Veins of Latin America’ when I was traveling through South and Central America many years ago. I was young and I think it was the first time my idea of the developed ‘west’ (which included my own country Australia) was challenged. It was the first time I really thought about capitalism and what it meant, and the first time I realized a lot of people were being trodden on for us to get richer and more powerful…for our lives to get easier and more ‘convenient’. In the years since I have read many of Galeano’s books and each time he has unraveled countless inequalities, lies and deceits the powerful would have us believe, and made me reconsider the choices I make in my own life. He gave a voice to the poor, the down-trodden and the forgotten – for me that is the measurement of a truly great man.